This was a surprise! 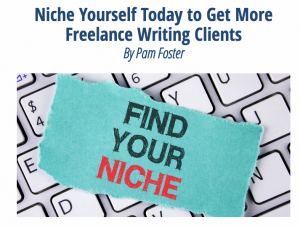 Thank you to The American Writers & Artists Inc for featuring me as the “fitness copywriter” example in this article about working within a specific niche. You can read the article – about how to choose and dominate a specific copywriting niche – here.